This is not supported at this moment. We found online translation services such as Google Translate might be alternative method until we have support for user guides in multiple languages. 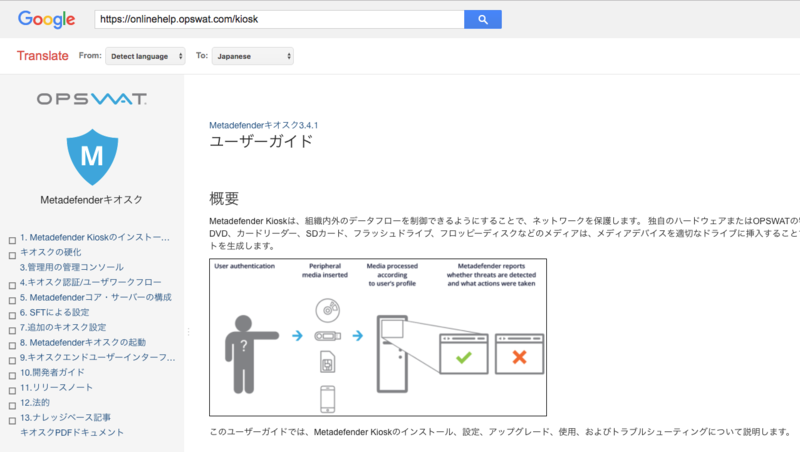 Here are the quick instructions how to use Google Translate. go to https://translate.google.com and enter a URL in the input text box. Here is an example for Kiosk User Guide translation. click or copy the link on target text box.